Cold politics and warming climate are the reasons why the ice-camp for the first time in 18 years can’t open. Ukrainian planes and crew in combination with Russians in charge of the camp and logistics turned out to be real trouble near the top of the world. Now, they are blaming each others for screwing up the 2019 season, sources in Murmansk tell the Barents Observer. Preparations have been going on for weeks with parachuters and equipment flying up north from Murmansk since late March. But since Murmansk is too far away, passengers and logistics have traditionally been flying out of Longyearbyen on Svalbard, halfway between mainland Europe and the North Pole. Onboard Ukrainian An-74 planes. 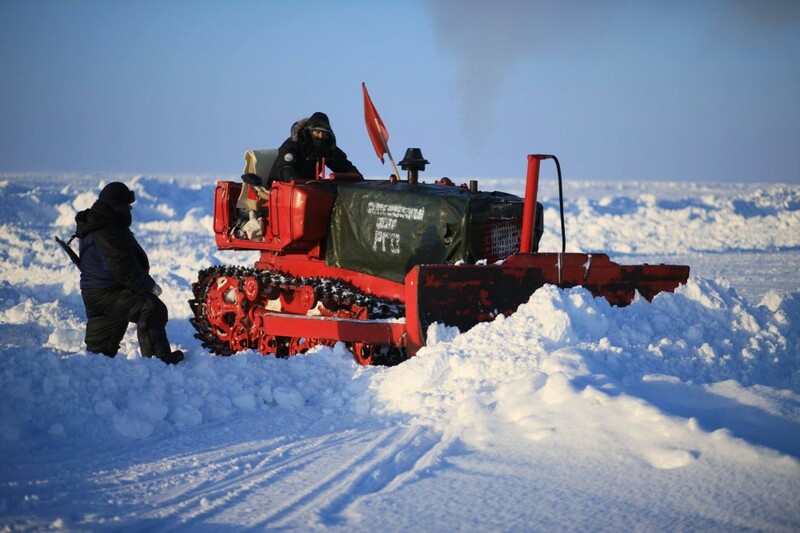 Barneo is the Russia’s ice-camp on 89 degrees north that has been made annually since 2002. During a few weeks window in April, the camp has served researchers, North Pole skiers and explorers from around the globe. In the latest few years, also Russian politicians, paramilitary groups and border guards have showed off at the camp. For the last few weeks, different groups of explorers have been waiting in Longyearbyen on Svalbard for the Bareno season to open. Longyearbyen is the northernmost civilian airport and has every year served the airstrip made on the ice near the North Pole. Ukrainian made An-72 and An-74 aircraft have shuttled passengers. With engines above the wings, the aircraft are especially designed for cold climate flights in the Arctic and can land at short ice and snow aerodromes. Utilizing engine exhaust gases blown over the wing’s upper surface helps boost lift during take-off. Polar Explorer Eric Larsen writes in a blog update Friday night about the cancellation. “After suffering nearly 10 days of delays due to political wrangling for planes between Russia and the Ukraine, the final straw was the back up plan failed as well,” Larsen writes. Eric Larsen explains how back up flights, consisting of a Canadian air company flying in with a DC-3, can’t be used due to unstable weather in Longyearbyen for the next few days. 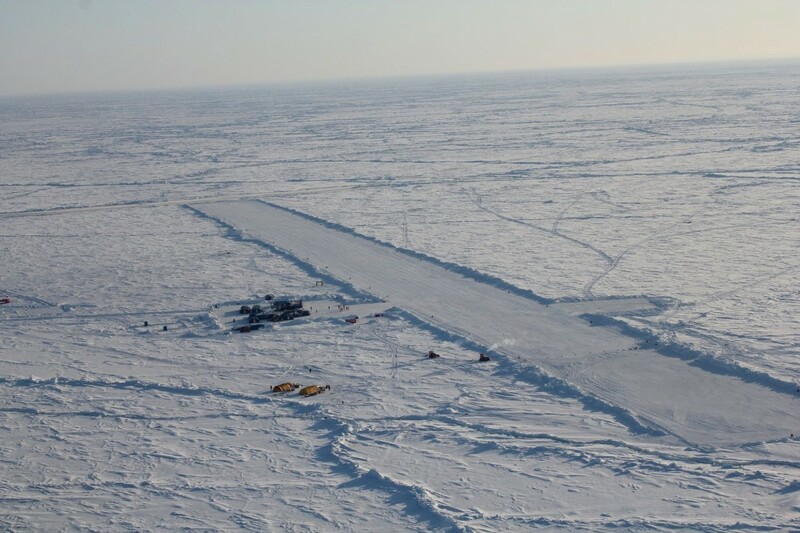 Barneo was supposed to open on April 1st, but was delayed for a few days due to problems of completing the ice runway. Then, political turmoil caused further delays as Russian officials banned Ukrainian pilots and crew from flying expedition groups to the camp, Icepeople reports. Airspace over the Arctic Ocean is international where no nations can decline others from flying. The same goes for landing on the ice, which is regulated by the law of the seas. Informing about the aviation dispute, Explorersweb points to some even suggesting it was the Ukrainian authority themselves that declined to license one of their planes to land on purportedly Russian territory. That version is supported by sources in Murmansk, telling the Barents Observer that it was not Ukrainian aviation authorities, but political authorities that turned down permission to fly to Barneo. The longer into April times go, the more unstable is the ice, before finally breaking up and making it impossible to land safely on the airstrip. “No matter how much we try to wrangle it into compliance for a few weeks every spring, the sea ice still has the final say. At least for now,” Eric Larsen explains. “The clock is running out on ice; and that, more than the cancellation of this season, makes me sad,” Larsen writes in the blog headlined “It’s over”. He still hopes for new expeditions via Barneo next year. Some 250 to 300 people that have booked tours to the North Pole via Barneo are now sitting in Longyearbyen seeing their dreams of Arctic exploring thwarting. A group of marathoners have each paid roughly €15,000 for the tour. Others, planning to ski the last degree, have paid €20,000 and sometimes even more, Icepeople reports. Due to a rapidly warming Arctic, ice conditions have been increasingly unpredictable. Last year’s camp was the shortest ever. It officially opened on 13th April and was abandoned only 12 days later.